Last night DaddyZabba and some guy friends went to see Ray Romano. 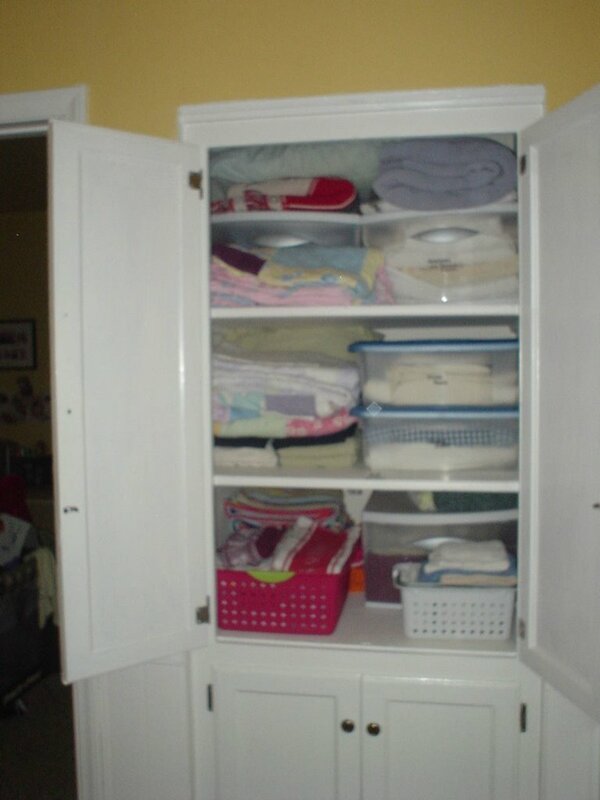 I was secretly thrilled that he would be out because then I could work on organizing the linen closet. So after church the Zabba’s & I made a run to Target for my favorite items …… containers! After the girls went to bed I got to work. Organizing is like a “high” for me. I took everything out and stood back to make my plan of attack. This is the finished result. I keep opening the doors to look at it..isn’t it beautiful? I will no longer be ashamed to open it in front of others..I may find a need to open it just to “show off” by work of art. I want to come over for a tour of your linen closet! Actually, I’m jealous that you even have one. In Germany, there are NO closets built into the walls. Zip. You have to buy pieces of furniture to use as closets which take up precious floor space. I really miss closets! You crazy wonder woman!! This is why I could never keep up with you when I taught next door! You have such an enthusiasm for organization. I do share it with you in some small way. There is power in organization. I do like to reorganize things too. The problem comes in keeping things so. I get frustrated when things get messed up around my house so quickly. Oh well! One must never give up trying!